Home BOLLYWOOD Katrina Kaif Making Trouble In Salman Khan-Iulia Vantur’s Paradise? [tps_footer]Bollywood actor Salman Khan has always been in limelight for his alleged relationships. Though, Salman Khan has never confirmed about his secret relationship with Iulia, the two have given enough proofs to the onlookers during the actor’s 50th birthday. Recently, it was also said that Salman and Iulia had a fight with each other due to Salman’s closeness with his Jai Ho co-star and close friend Daisy Shah. The two even had arguments, but Salman did not pay heed to Iulia’s complaint. Well, it seems there is trouble in Salman and Iulia’s paradise once again. 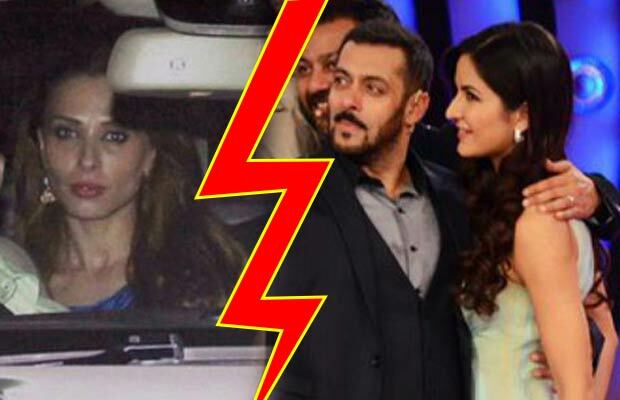 A little birdie told us that Iulia is very much upset with Salman’s bonding with Katrina Kaif. Post Ranbir Kapoor and Katrina Kaif’s break up, former couple Salman and Katrina have been flaunting their close bonding and friendship, which is very much visible to everyone. From teaming up on Bigg Boss 9 grand finale, to Salman Khan wrapping his shoot and rushing to meet Katrina on ‘Comedy Nights Live’, it seems all this did not go well for Iulia. Now that Katrina is single, seems like lulia feeling insecure about Salman. As we all know Salman is a person who does not pay a heed to anyone, instead he does what he wants to. The ‘Being Human’ star was apparently always very possessive about his alleged ladylove, but it seems the actor is in no mood to change his way for anyone now. Previous articlePhotos: Sonam Kapoor Releases New Youthful Song From Neerja!